Recently I was asked to perform a unique ritual where, during the ceremony the couple, who will have prepared loving vows and sealed them in an envelope, will then placed those envelopes in a box with a fine wine. After an explanation of the meaning and their intention to open the box on their tenth year anniversary they will then secure the box with tack nails. I am yet to under take the smooth delivery of this task but the theory is gorgeous (lets hope that there are no bruised fingers). As a gift to you I am including the proposed ceremony. 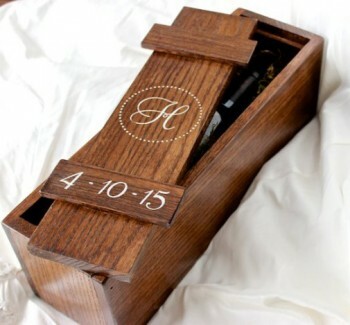 Bride and Groom have decided to include in their wedding celebration a Wine Box Ceremony. They have brought a strong wooden box. If we take a peak into the box we see a bottle of 2005 Rockford Basketpress Shiraz. Wine is a symbol of joy and celebration. It captures the warm sun, the life giving rain, the rich soil and the passion of life itself. But that is not all; I have two sealed envelopes one from the Bride and one from the Groom. Each has written a letter to the other. These letters contain their thoughts on this their wedding day, they share details about the good qualities that they have found in each other, and the letters include the reasons that they fell in love with one another. Two love letters. They have kept these letters private and have securely sealed them in separate envelopes. Now I am going to put these into the box with the wine. Like all fine wines, this bottle will improve with age…. In fact it will be at its absolute best on … 10th January 2026. By coincidence their 10th Wedding Anniversary! (speaking to Bride and Groom) So on 10th January 2026 you should sit quietly together, open the box and the bottle and whilst sharing a glass of beautiful red wine you can open and read your letters to each other. I guarantee you will not need any other anniversary present that day. To help you resist the temptation to read your loved messages too soon, the Bride and the Groom, please take one nail at a time and hammer the box securely closed! 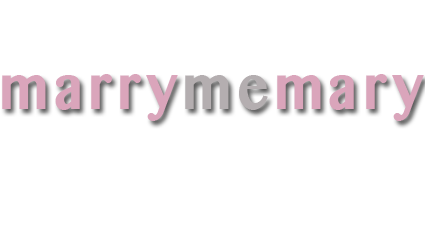 Mary is a Sydney based Marriage Celebrant devoted to making your ceremony as individual and as you are.